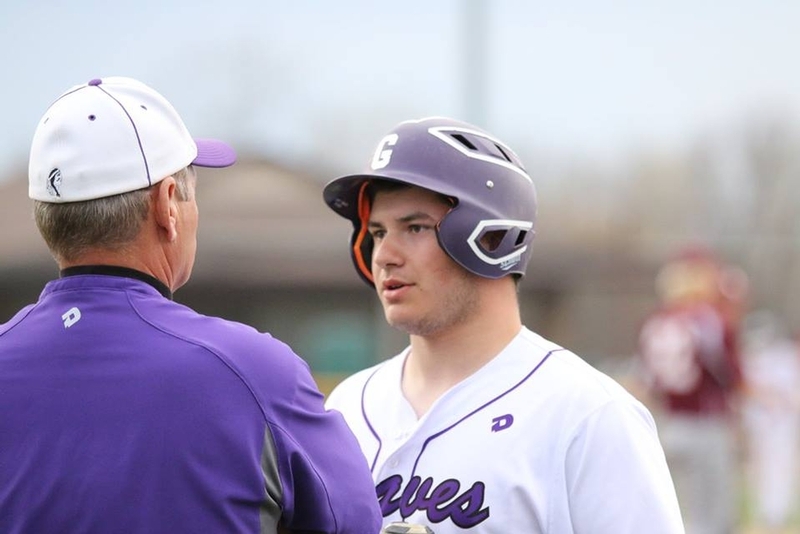 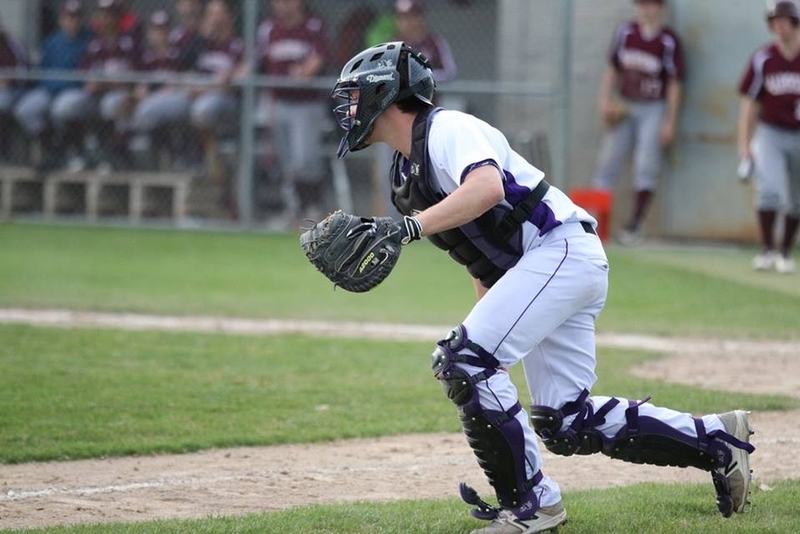 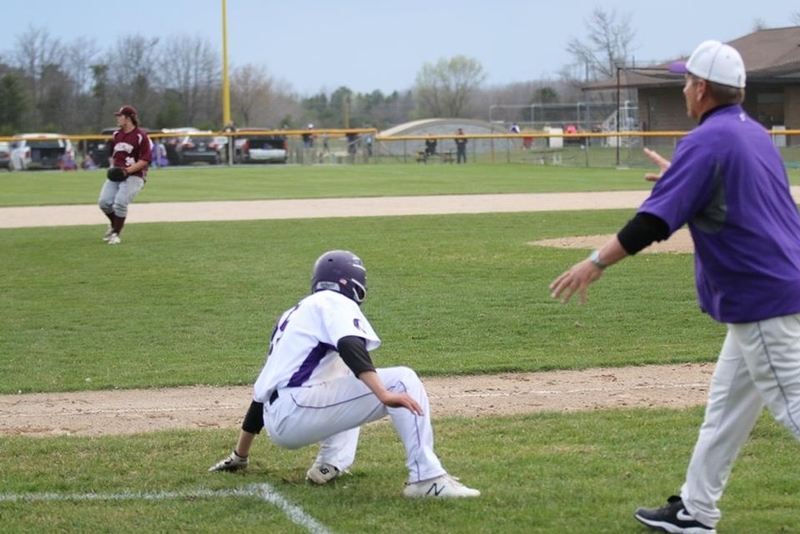 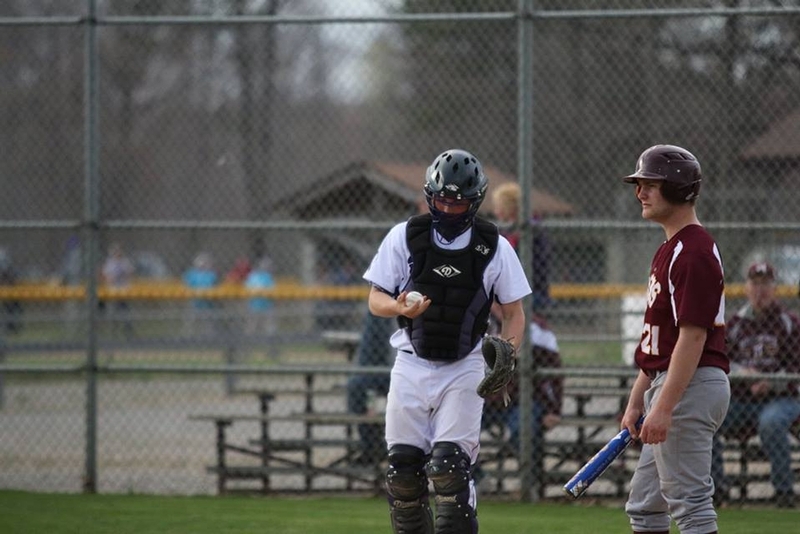 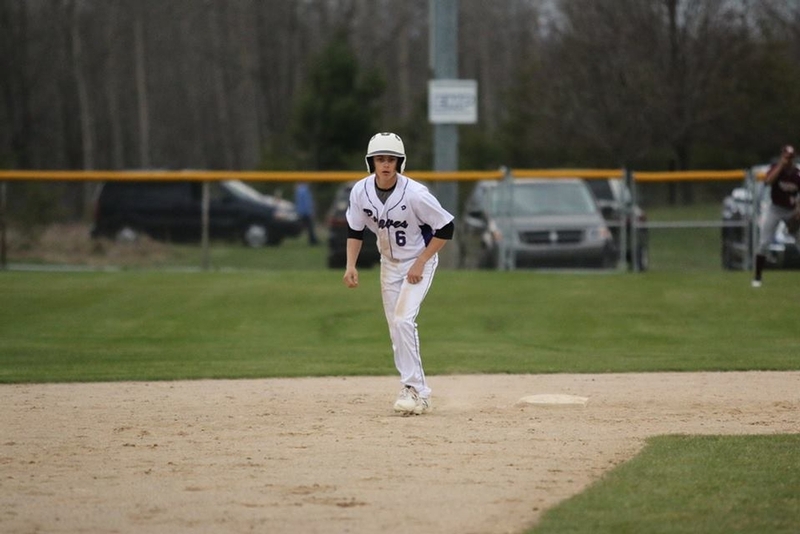 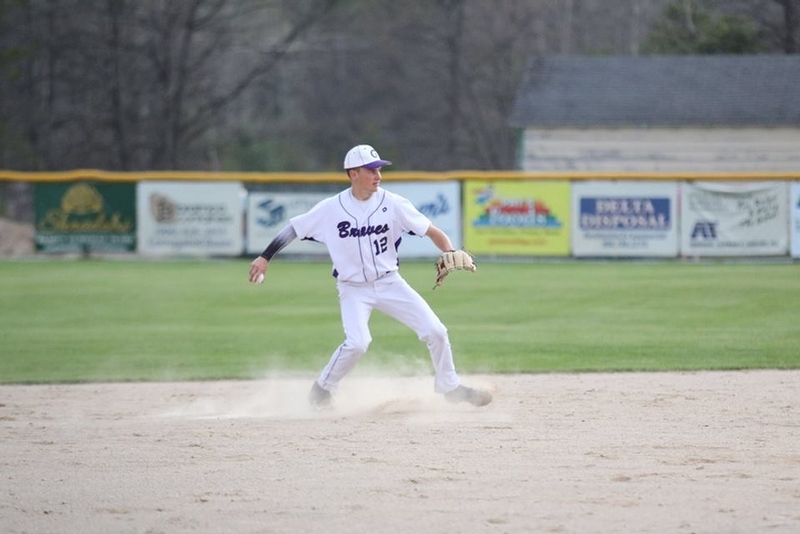 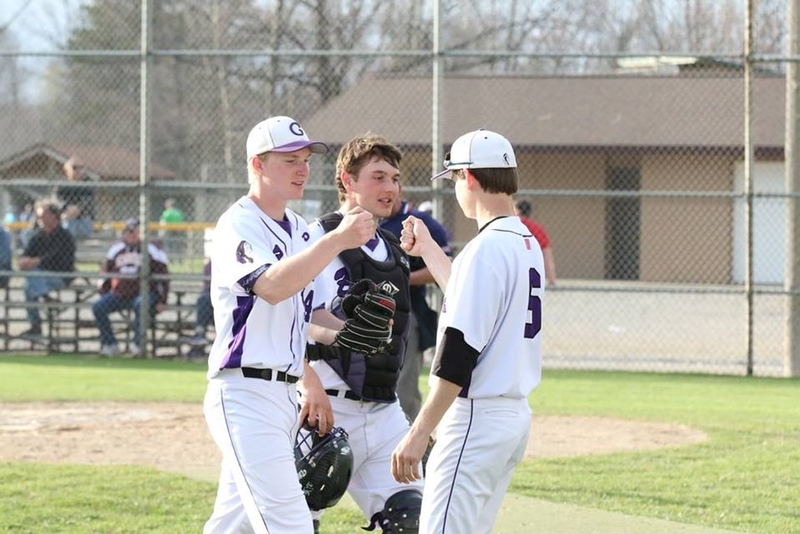 GLADSTONE---The Gladstone High School baseball team beat the Menominee Maroons, 13-4, Monday night in Gladstone, honoring its four seniors in the process. 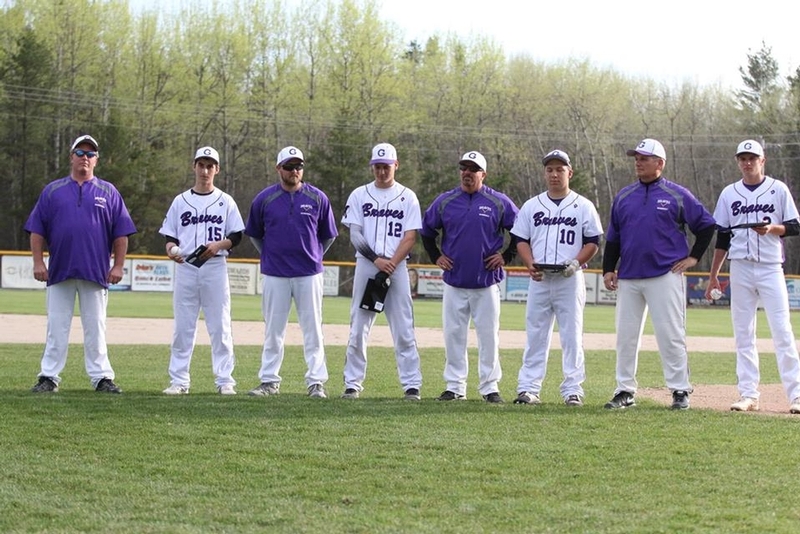 Clay Cole, Owen Hanson, Braeden Lamberg, and Lucas Weinert were all honored with a ceremony before the game. 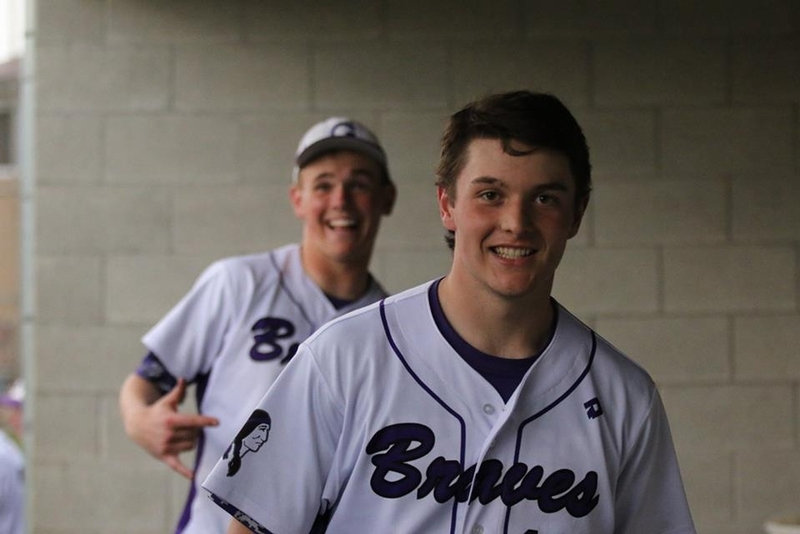 Then they went out and made an impact in the game as the Braves swept the season series from the first-year Maroons. 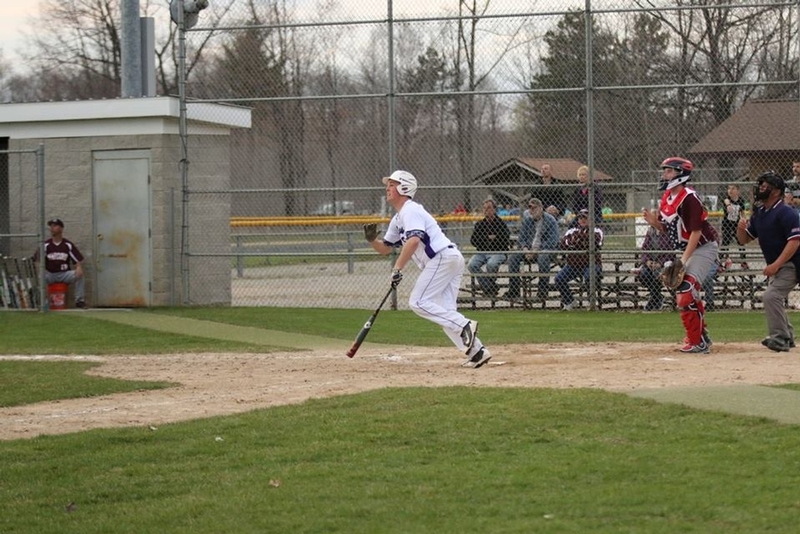 Cole had three hits, scored two runs, and drove in a run. 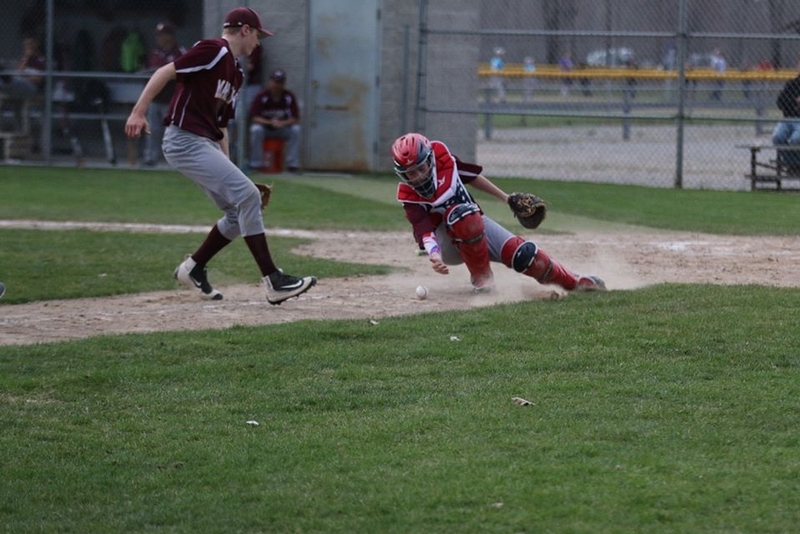 Lamberg made a highlight-reel defensive play at shortstop, and Weinert made two excellent plays at third. 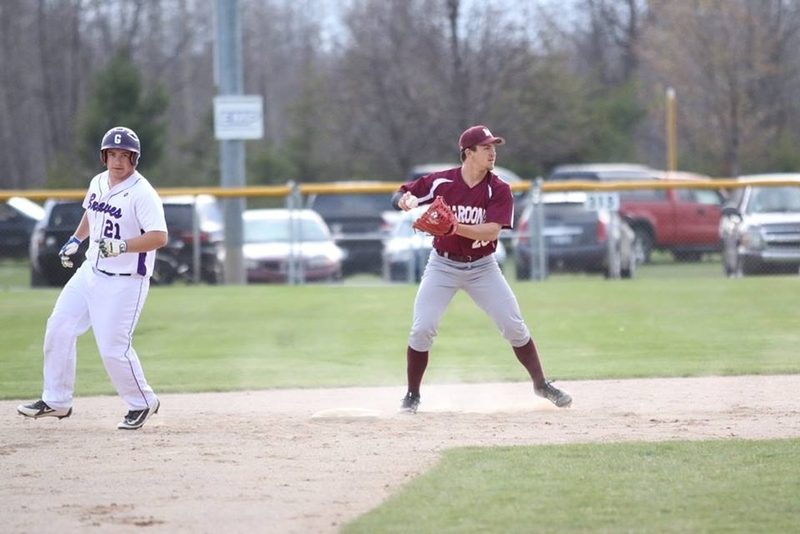 He also had a well-placed bunt on offense. 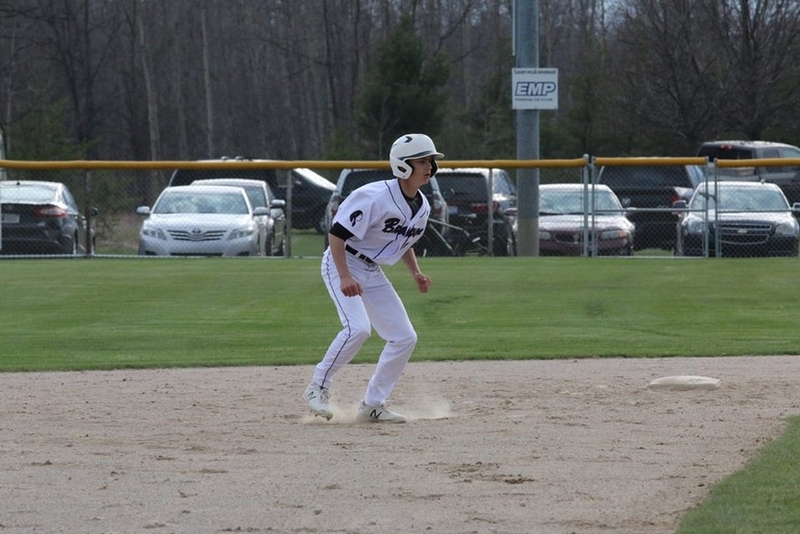 Hanson contributed a walk and a stolen base. 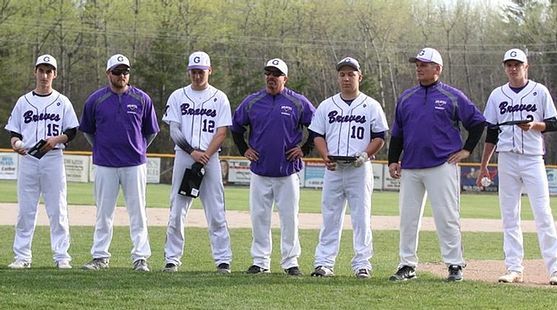 And all four seniors had the same comments after the victory Monday night: focused and working hard to beat top-ranked Traverse City St. Francis in the regionals, and to work hard enough to earn a trip to the state finals at Michigan State University next month. 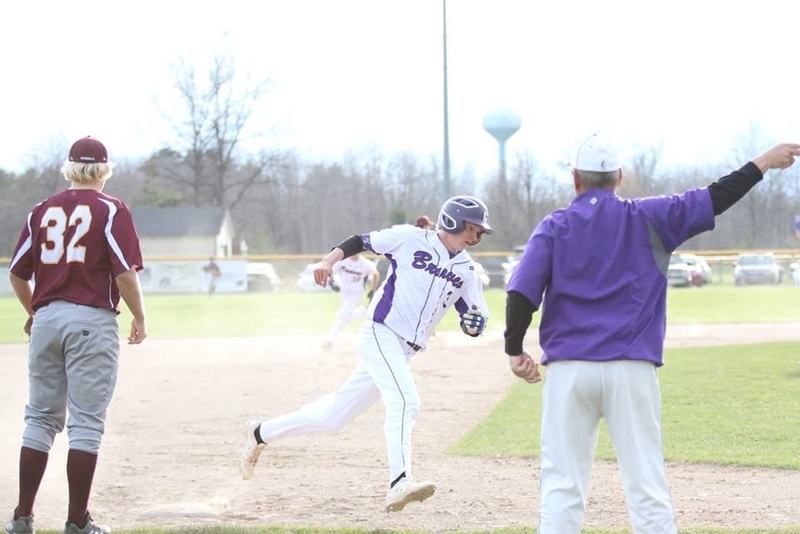 The Braves stretched their winning streak to nine games with the win. 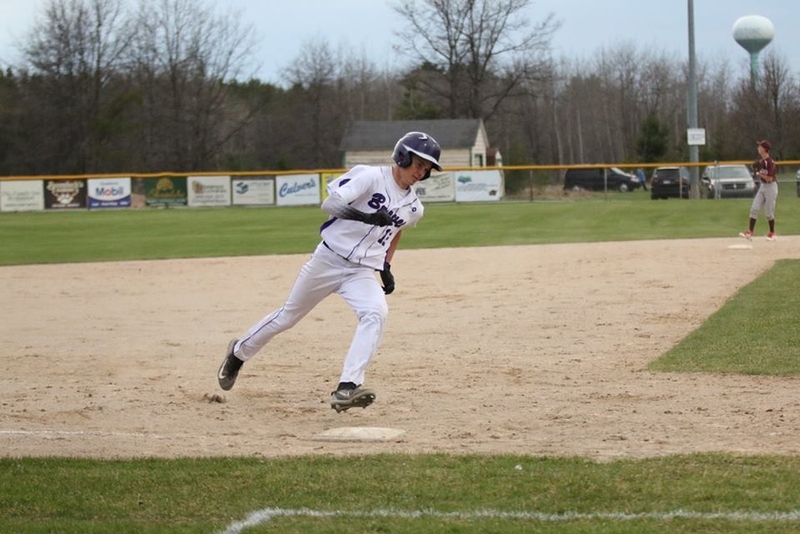 Cody Frappier added three base hits for the Braves, driving in a pair of runs. 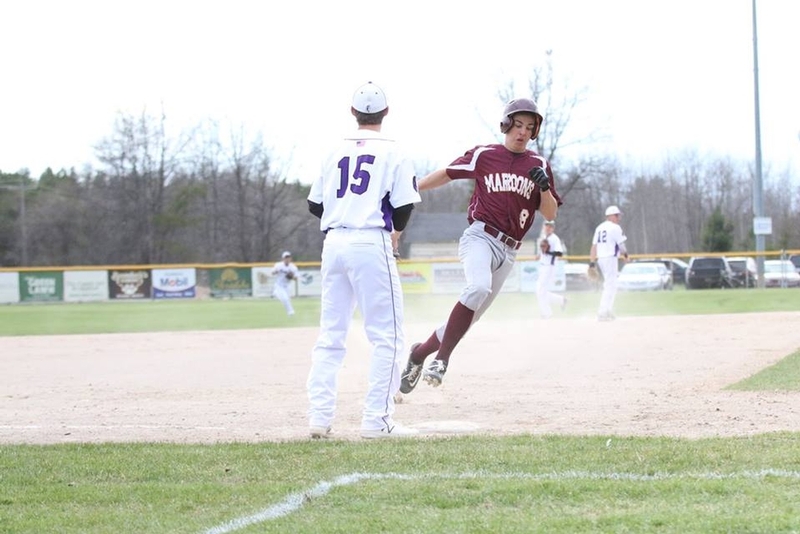 Menominee took a 2-0 lead in the first inning on RBI singles by Jason Janquart and Joey Ebsch. 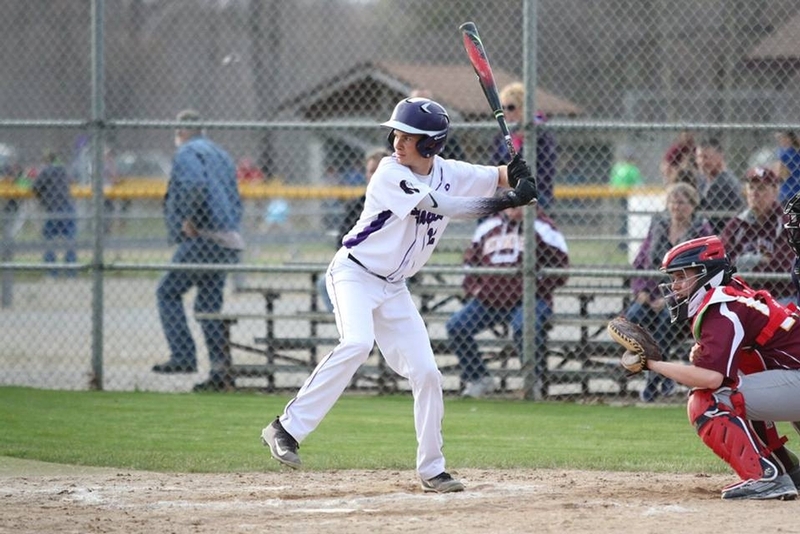 Gladstone tied it in the bottom of the inning on a Frappier RBI hit and a Jared Crow sacrifice fly. 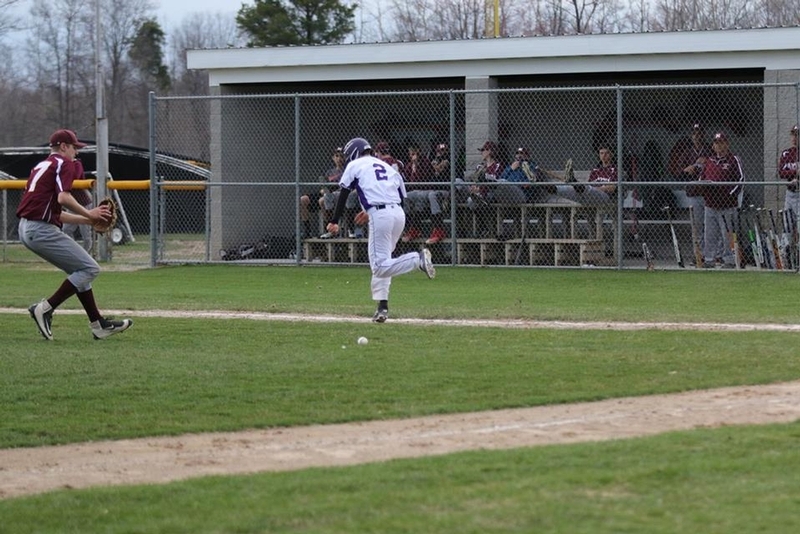 The Braves went ahead, 4-2, with two runs in the third inning. 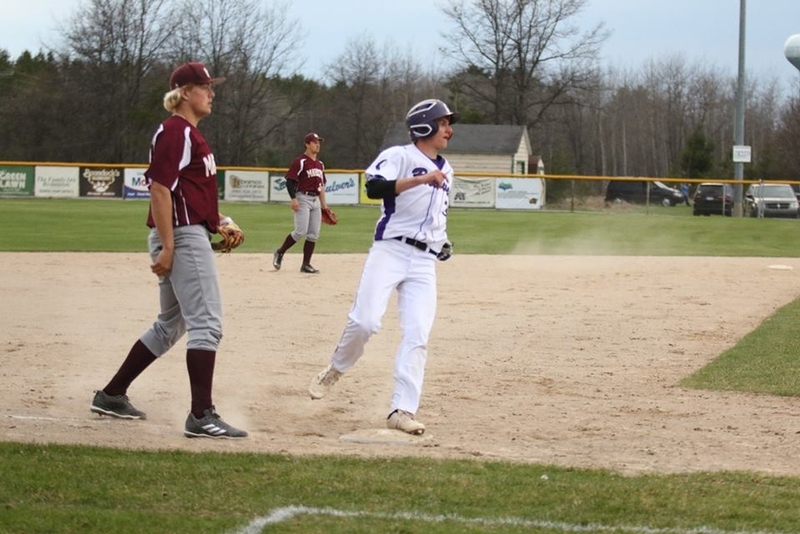 Gladstone put the game away with seven runs in the fifth inning, with Lamberg, Frappier, and Carson Shea all getting RBI hits. 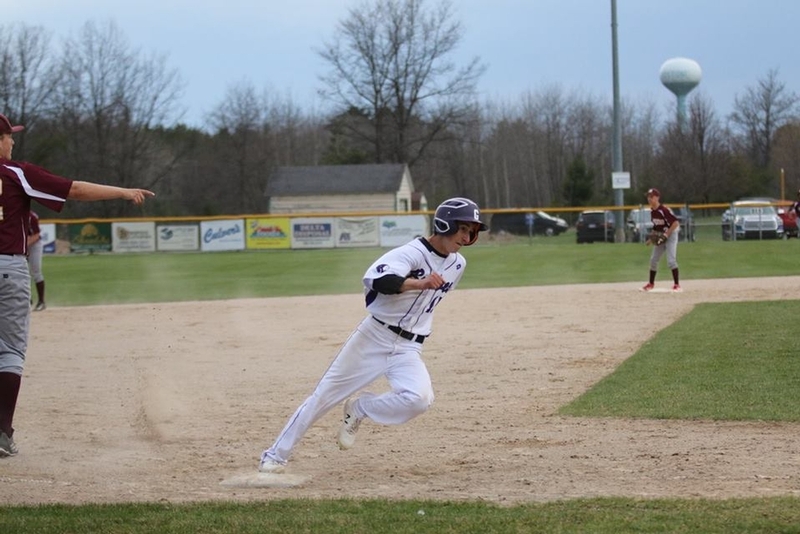 Menominee made two errors in the inning. 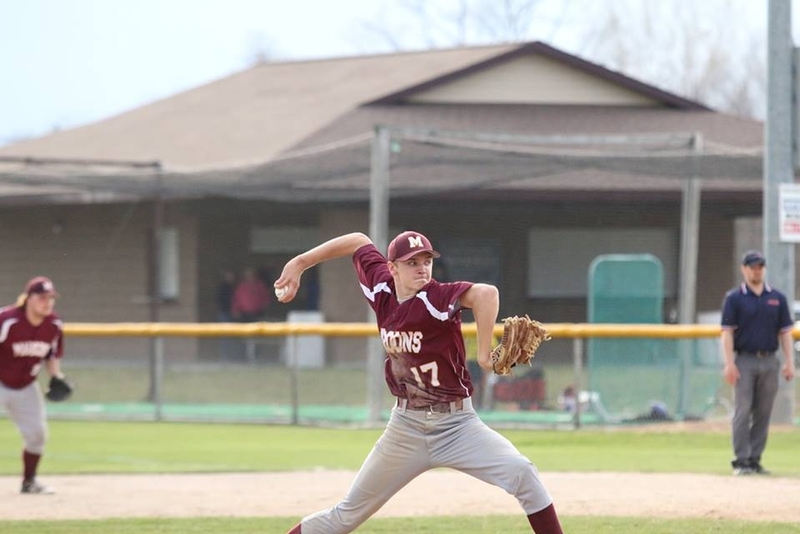 Ben Kelly pitched six innings to earn the win. 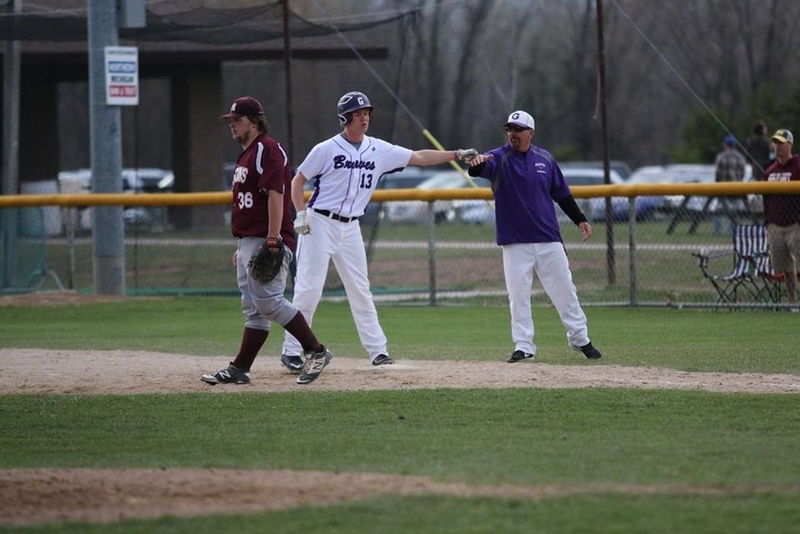 He gave up two runs on three hits in the first inning, then retired eleven batters in a row at one point. 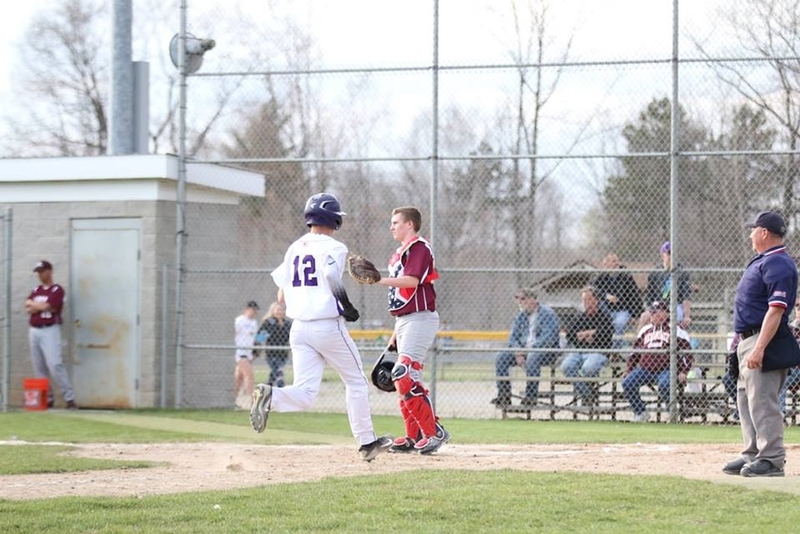 Kelly tired in the sixth inning, allowing two runs on a double, walk, and sacrifice fly. 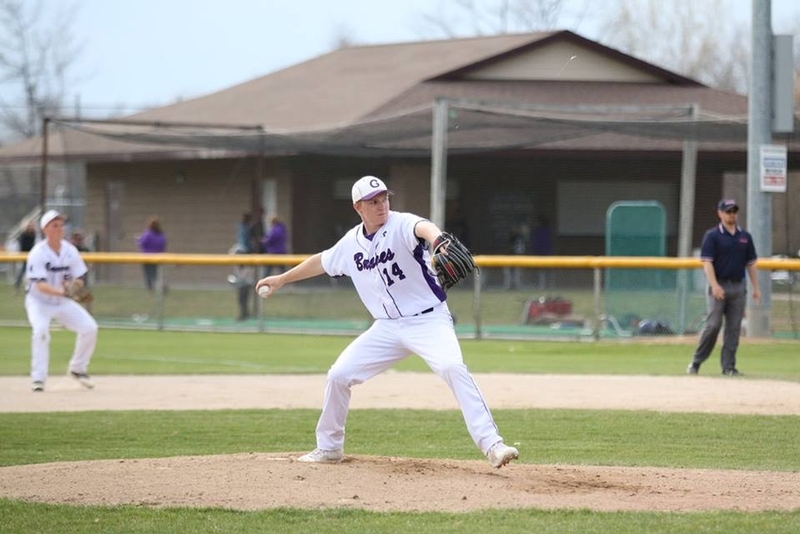 Zach Hanson threw a 1-2-3 seventh inning in relief. 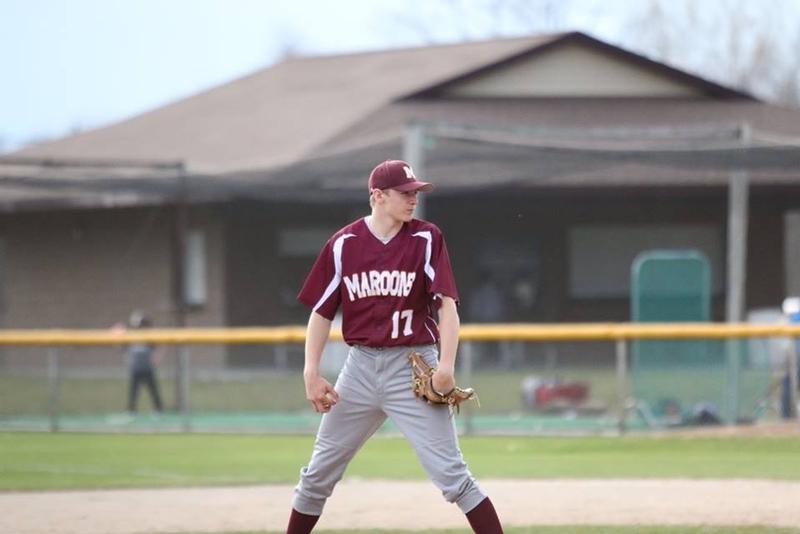 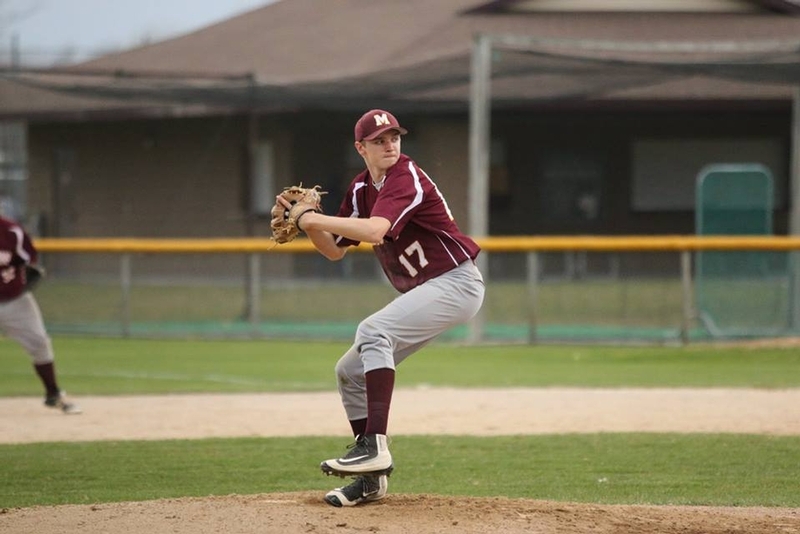 Keagan Monroe took the loss for Menominee, throwing 4 2/3 innings, before Kyle Anderson and Dante Sartorelli finished up. 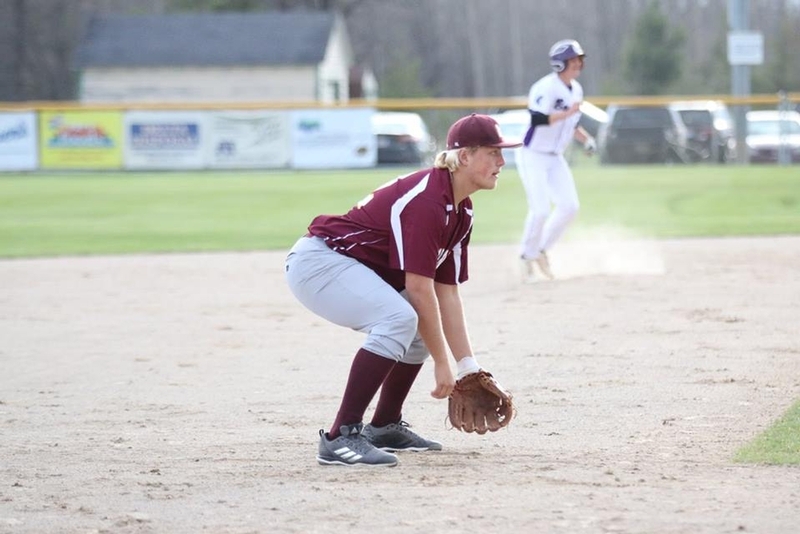 Gladstone (19-2) travels to Negaunee for a doubleheader on Wednesday. 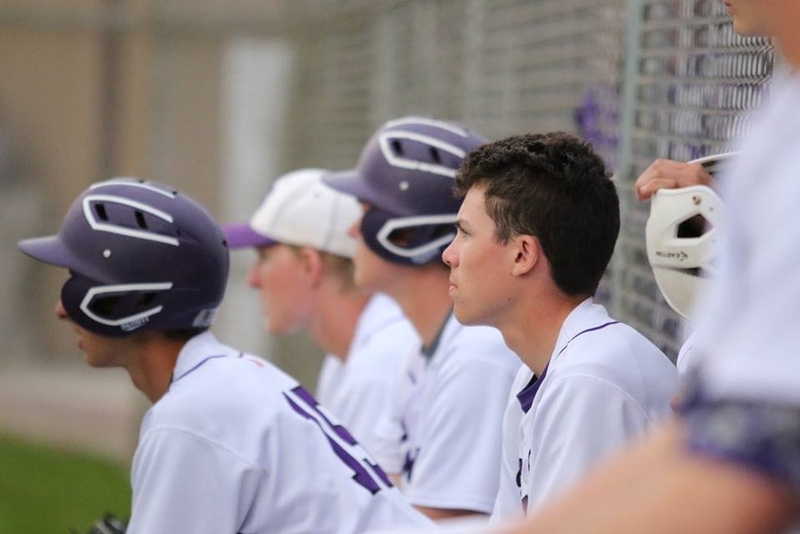 Click the thumbnails in the ARTICLE HIGHLIGHTS box above to see photos taken by Brenda Crow, and listen to interviews with the four seniors.